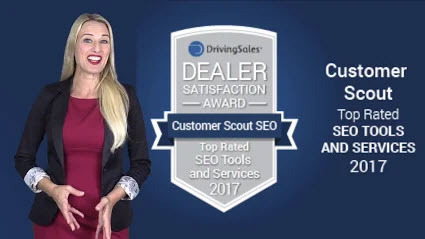 Customer Scout, INC is the Automotive SEO company that continues to provide award-winning Automotive SEO services to brands across the country. After receiving a “Top Rated” SEO Award in the eighth annual DrivingSales Dealer Satisfaction Award last year, we’re continuing to gain momentum and getting better each day as we continue to strive for SEO excellence. We are the SEO company you’ll want by your side as you seek to dominate your local online market and beat out the competition. That’s exactly what we do so if you want the best automotive SEO services you’ll need to contact us today to request a dealer consultation. Request more information about Customer Scout, INC.